LIFETIME warranty on ALL parts and labor! Why Choose Schafer’s Auto Center? Welcome to Schafer’s Auto Center. We are a team of ASE certified technicians trained and ready to handle any auto repair or maintenance service you require for your car or light truck. Our number one goal is to provide you with honest and efficient service to resolve your auto issues and keep your car running smoothly. Why are ASE certified technicians important to you? It means you are receiving the best professional auto service in the industry. ASE training involves detailed studies and testing along with two years of relevant hands-on experience. It takes the guesswork out of finding a highly-trained, experienced mechanic. 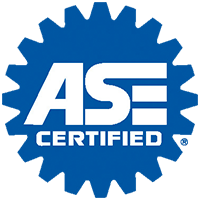 Our manager, Mike Schafer, is himself a certified ASE Master Technician which gives him the expertise to help diagnose, explain and perform any auto repairs you need. We started serving the people of Philadelphia, PA with auto repairs from a small garage in 1954. As a family-owned and operated business, we are proud to have grown into an 8800-sq. foot facility on Columbus Blvd. We take pride in offering superior customer service that our clients can trust and be confident to recommend to others. We strive to make every customer feel like part of the Schafer family. 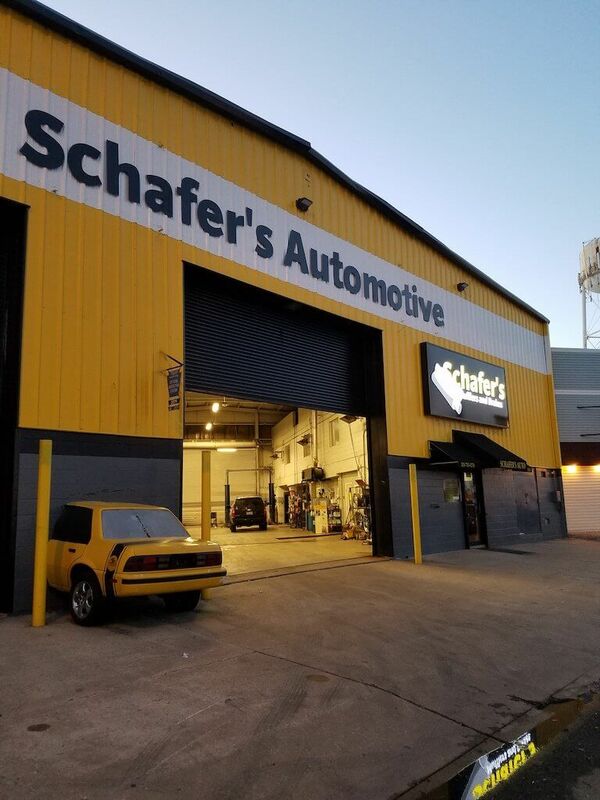 You can trust the team at Schafer’s Auto Center for auto repairs and maintenance, state inspections, vehicle safety inspections, oil changes, emissions testing (smog check), tire mounting and balancing, timing belt replacement, alignments, full system diagnostics, suspension work, brake repair, transmissions, custom exhaust, tune ups and more! Our technicians work diligently to stay ahead of the ever-changing automotive repair field. We ensure our technicians receive continuing education to stay up to date on the evolutions in our industry. We meticulously update our shop to include the latest in auto repair and diagnostic equipment. We use Mitchel One on Demand, Motor All Data, and Idenifix Online Systems to guarantee our techs have the most accurate and current information available. For you this means our educated and experienced team can provide a full range of vehicle inspection, repair, and maintenance service for all cars, whether old or new. Schafer’s Auto Center is open 5 days a week. 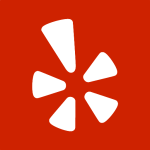 We have an A rating with the Better Business Bureau (BBB). We would love to show you the quality service and expert-level work you should expect from your local auto repair shop! We are conveniently located at 1924 S Columbus Blvd Philadelphia, PA 19148. Our hours are Mon – Fri 8:00am – 5:30pm. Give us a call today at (215) 755-1270! © 2019 Schafer's Auto Center. All Rights Reserved.